This is the newest word catalyst commission. I painted it on copper and the word was simply shiba inu. 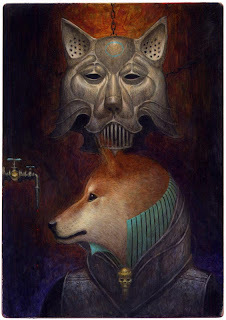 I think a good title would be "Shiba Armor." Thanks Gregg.